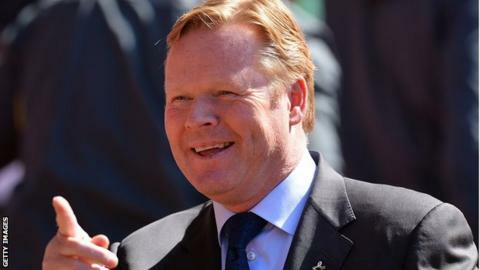 Southampton boss Ronald Koeman says he is happy at the club amid fresh speculation he could be offered the Netherlands manager's job next month. Dutchman Koeman, 52, has been touted as a potential candidate to take over if coach Danny Blind does not stay on. Blind took over following the departure of previous boss Guus Hiddink earlier in the year but presided over back-to-back qualifying defeats in September. Koeman, who took over as Southampton manager in June 2014, made 78 appearances for the Netherlands between 1982 and 1994.